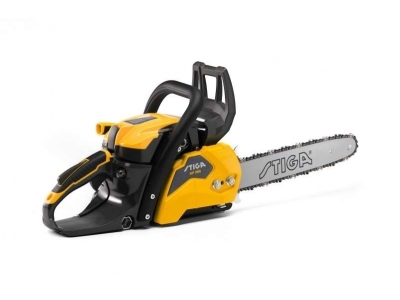 You will find only a small quantity of saws on this site, as we tend not to cater for the high end Pro user, but we can supply any size at your request. Chain saws are a potentially dangerous machine and we strongly suggest that you purchase the relevant safety clothing with the machine if you do not already have it. You should also consider attending a training course at the local agricultural college. Having sold many brands over the years we have found that, in general, the cheaper brands have been a little dissapointing both in quality nd performance. 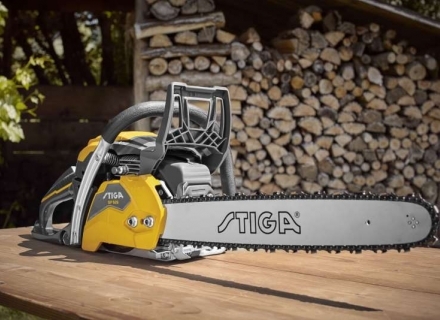 However, that has now changed with the introduction of the Stiga range of chainsaws. 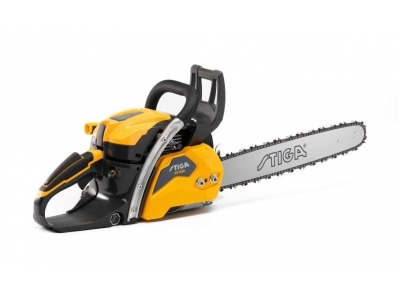 These economy saws offer superb quality and excellent performance for the domestic user. 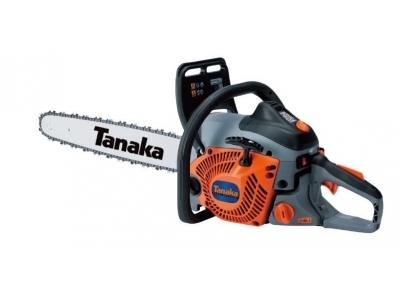 For those demanding an even higher buil quality we offer saws from Tanaka. Although Tanaka have a limited range of saws you can count on their excellent Japanese heritage, fully supporrted by a 5 year warranty. 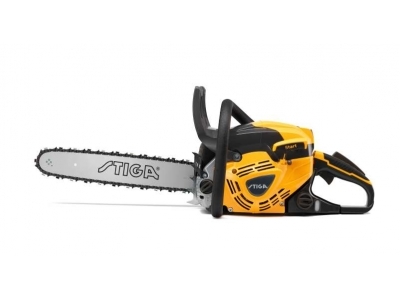 The SP 466 Chainsaw with 46.5cc engine and 45cm/18" bar.